Saudi human rights activist and co-founder of the Saudi Civil and Political Rights Association (ACPRA), Muhammad Salih al-Bejadi, has been detained by Saudi officials since March 2011 due to his work on campaigning for the release of political prisoners. He has been subjugated to inhumane prison conditions and a fallacy of a trial. A human rights activist, co-founder and core member of the Saudi Civil and Political Rights Association (ACPRA), Mr. Muhammad Salih al-Bejadi (33 years old) has been imprisoned in Saudi Arabia since 21 March 2011. He has been an ardent campaigner for the release of political prisoners in Saudi Arabia. It has been this work of speaking against the violations of human rights in Saudi Arabia that led to his ongoing and baseless imprisonment. Mr. Al-Bejadi’s defence and publicity team at ACPRA has detailed the circumstances of his imprisonment as a clear denial of his basic human rights. He spent the first four months in solitary confinement and in total isolation from the world. This only allowed him a few minutes to call his wife each week. 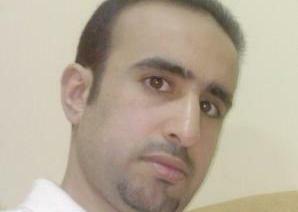 Mr. Al-Bejadi was then transferred to a collective prison where he has shared a cell with nine other detainees. The cell is no more than 4 meters wide by 6 meters long and provides poor ventilation and bright lighting all day and night. They are only allowed exposure to the sun for a few minutes twice a week and are fed poor quality food. The clothing provided to the detainees is insufficient and a limited number of changes are allowed. Above all, Muhammad is denied proper access to health care. He has requested the prison administrators provide him with an immediate medical examination but this request has not been answered for more than seven months. On 3 October 2011, Muhammad al-Bejadi came before a court ironically created by the Interior Ministry to try those accused of violence and terrorism for the sixth time since his imprisonment. The court, which runs its meetings in secrecy and forbids the attendance of independent journalists and human rights activists, denied Muhammad of all his fundamental rights guaranteed by international conventions and statutory Saudi laws. He has been charged with three unbelievable accusations; membership in a banned association, the possession of prohibited books and the intent to harm the reputation of the country. These charges, the defence team explains, implicitly refer to Al-Bejadi’s exposition of the gross violations of human rights in the torture and systematic psychological and physical abuse of detainees by the Interior Ministry. They now demand the immediate release of Al-Bejadi and an apology and compensation for his detention. Write to the following authorities requesting to urge the Saudi Arabian government to free Muhammad Salih al-Bejadi. I am deeply concerned over the imprisonment of a Saudi human rights activist and co-founder of the Saudi Civil and Political Rights Association (ACPRA), Muhammad Salih Al-Bejadi, by Saudi officials in March 2011. This was due to his work in campaigning for the release of Saudi political prisoners. He has been denied all his fundamental rights guaranteed by international conventions and statutory Saudi laws. As you are likely aware, this case transpires within the context of Saudi Arabia’s ongoing and unacceptable arbitrary detention of activists. Mr. Al-Bejadi was arrested on 21 March 2011 and the circumstances of his imprisonment have been a clear denial of his basic human rights. He spent the first four months in solitary confinement. He was then transferred to a collective prison where he has shared a cell with nine other detainees. They are only allowed exposure to the sun for a few minutes twice a week and are fed poor quality food. Above all, Muhammad is denied proper access to health care. On 3 October 2011, Muhammad al-Bejadi came before a court ironically created by the Interior Ministry to try those accused of violence and terrorism for the sixth time since his imprisonment. He has been charged with three unbelievable accusations; membership in a banned association, the possession of prohibited books and the intent to harm the reputation of the country. These charges implicitly refer to al-Bejadi’s exposition of the gross violations of human rights by the torture and systematic abuse of detainees in Saudi Arabia. He has therefore done nothing that warrants his imprisonment and the treatment he has suffered. As a prominent organisation within the United Nations, I ask that the Working Group on Arbitrary Detention urgently demand the immediate release of al-Bejadi and an apology and compensation for his detention. This ongoing detention of individuals who are clearly trying to express their right to freedom of speech must not be tolerated. Please call on the Saudi government to provide Mr. Al-Bejadi with his basic human rights and release him from this illegal imprisonment. I look forward to hearing back from you regarding the steps that you are going to take in this case. I urge you to call on your Saudi counterparts to look into the matter and arrange for his immediate release and an apology for his detention. This ongoing detention of individuals who are clearly trying to express their right to freedom of speech must not be tolerated by the British government who claims to stand for justice. Please call on the Saudi government to provide Mr. Al-Bejadi with his basic human rights and release him from this illegal imprisonment. I urge you to call on the Saudi government to look into the matter and arrange for his immediate release and an apology for his detention. This ongoing detention of individuals who are clearly trying to express their right to freedom of speech in your country must not be tolerated. Please call on the Saudi government to provide Mr. Al-Bejadi with his basic human rights and release him from this illegal imprisonment. a) Minister of foreign affairs in Canada.